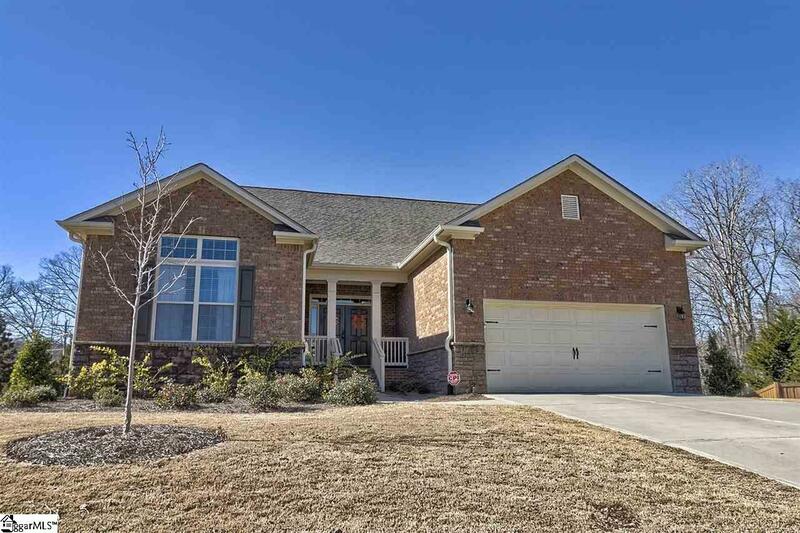 Located in the highly favored Anderson District One (Powdersville Schools) and the ever popular Rose Hill Subdivision! This basement home is space at its best. 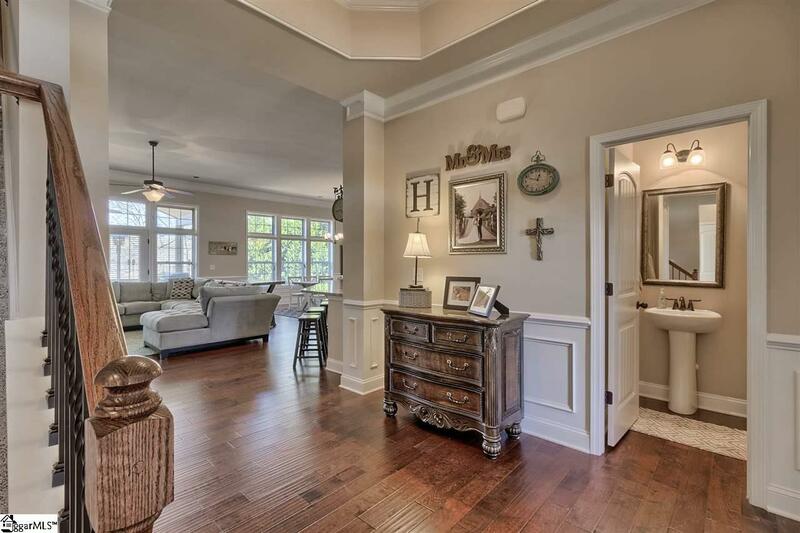 As you enter through the lovely double door entry you immediately appreciate the open floor plan, fabulous dark floors, the pop of white double crown molding throughout and the goodness of all the natural sunlight. 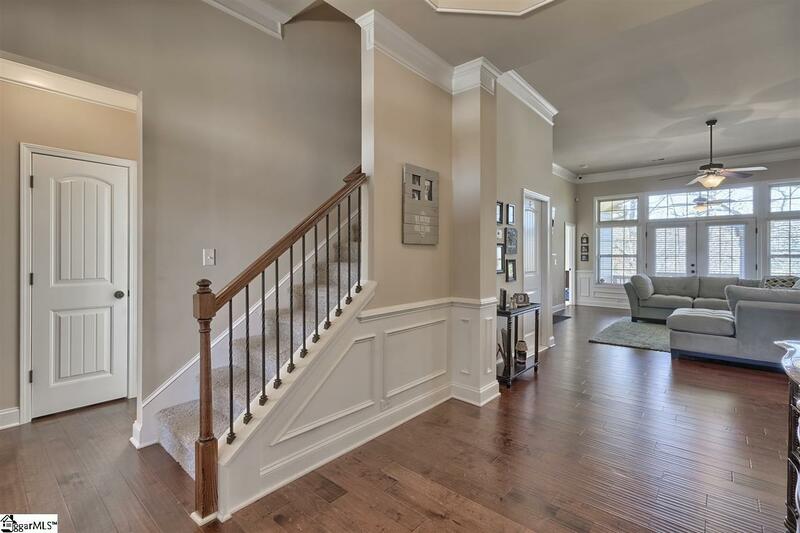 The entry opens to the living room that has a gas fireplace with TV access above, plenty of space for furniture design, and French doors that lead to the covered back deck. The adjacent dining room area has wainscoting and triple windows and is an open slate for either formal or country chic style furniture. The wide open kitchen centers around the huge island. 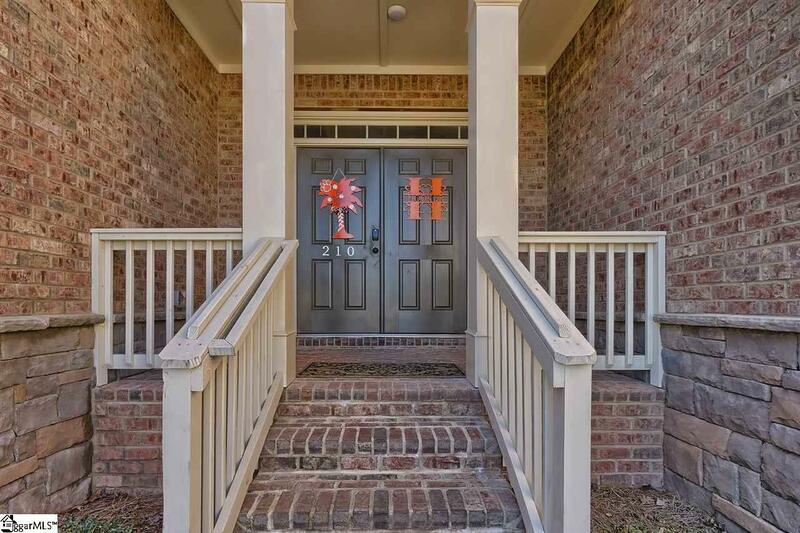 Plenty of barstool space, serving and cooking space, of course granite counters and tile backsplashing, a walk in pantry, breakfast nook and stainless appliances. The laundry room is off the back of the kitchen and is also walk-in with great space and cabinets and rounded out by the perfect drop zone for backpacks, mail, coats and/or shoes with easy access to the garage. The master bedroom is on the main floor and is large enough for all your furniture but wait, so is the master walk in closet! The on-suite bath has double vanities, a garden soaking tub, and tiled walk-in shower. Two additional bedrooms are on the main floor with a full bath that also has double vanities (great space for guests or kids)! Upstairs there are two bonus size bedrooms with a full bath, good walk in closet space and easily accessible storage space in each room. The unfinished basement is your perfect lions den!! So much space, let your imagination and Pintrest ideas run free. Stubbing, plumbing and electrical all in place just waiting on your ideas! The Estates of Rose Hill offer access to great amenities including a wade in pool with waterspouts and different dept intervals for kids of all ages, playground, nice clubhouse and common areas. Welcome to Buxton Court!